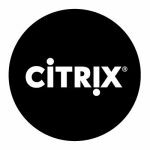 Citrix have released a new version of Citrix Virtual Apps and Desktop 7 1903 which is now available for download. Microsoft Windows Server 2019 & Windows 10 1809 is supported with this release. Another great thing is that now “infrastructure components for Citrix” can be installed on Microsoft Windows ServerCore, which means a minimum OS and only install what is required, no GUI just raw performance, something which a lot of service providers, customers are going to like. This is important for scalability and automation and having best TCO running a Citrix infrastructure. Citrix director & delivery controller now works and is supported on ServerCore (WS2012r2/WS2016/WS2019). 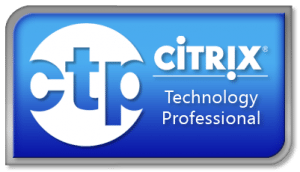 Citrix have released a new version of Citrix Virtual Apps and Desktop 7 1808 is now available for download. Citrix have also changed their release cycle to follow built version + YYMM (Year, Month) and is following Microsoft how they name their release built for Windows OS/Server, which I really like.. This release is the first release that officially supports the upcoming Microsoft Windows Server 2019, so you can test if your applications works. Citrix have always done a great job of having 0day support of next generation Windows Server OS. Sharefile SSO support in Virtual Delivery Agent for ServerOS and Client OS, this is a HUGE step in SIMPLICITY and something customers are going to love. The ShareFile integration also gives you the open-in option in the workspace service UI. Another huge benefit for Citrix “XenApp” or “Virtual Apps” Customers is that Server OS VDA now supports NVIDIA NVENC video encoding. This technology is awesome and means that the CPU is no longer used for encoding HDX but Citrix can use NVENC to increase the UX and lower CPU usage and deliver higher FPS. Citrix Virtual Apps 7 1808 requires NVIDIA GRID version, which isn’t released yet to support NVENC. Citrix SmartScale is now deprecated for current release. Support for browser content redirection in Internet Explorer 11. Citrix continues to maintain current support levels as described in XenApp and XenDesktop Servicing Options. Citrix have released a new version of Citrix XenDesktop 7.17 and XenApp 7.17 and is now available for download. I am pretty excited about this release because HDX 3D pro have also been improved with h265 it’s handled selectively for appropriate regions of a session for the best possible combination of quality and performance with Selective H.265 Encoding with NVIDIA Hardware. 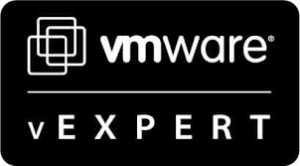 Another great news is that XenServer 7.4 finally supports vGPU Xenmotion with NVIDIA Pascal GPU’s and also now supports AMD MxGPU. Customers that are using Linux can now use Citrix Linux VDA 3D Pro with NVIDIA pascal GPUs such as P4, P40, P6, P100. The Citrix Linux VDA 3D Pro works now with NVIDIA vGPU for NVIDIA pascal GPUs and also supports vGPU hardware encoding, which means more hardware encoding is done on GPU with HDX and not on CPU, this new feature will resolve more CPU ressource available, which application can benefit from and also means better user experience. AppDNA is now deprecated for current release. Citrix have released a new version of Citrix XenDesktop 7.11 and XenApp 7.11 and is now available for download. This release is an important release no matter if you are working daily with Office application such as Excel, Word or Browsers and even highend applications such as CAD. The features in 7.11 have important improved user experience from the VDA to the Receiver that improves dramtically the user experience. NVIDIA NVENC technology is now part of VDA and supports even multiple monitors. The admin can now monitor RTT within Director this feature have been something I have asked for very long time and now finally its in the product, customer will love this new feature so its fast to see where the issue is in a infrastructure with which users that have latency issues. Version 7.11 is the release that fully supports Microsoft Windows Server 2016 that is soon GA, this means you can install Delivery components on Windows Server 2016, VDA on Server 2016, use Azure N-series with support for Windows Server 2016 Hyper-V Discrete Device Assignment (DDA) or you can use it onpremises with Hyper-V. Support for UWP is HUGE and I am very excited about this technology and this also used in Microsoft Hololens so cant wait to a Receiver for hololens so you can publish UWP apps to Hololens 😉 Imagine that. I can keep going on with all these new features lets dig in below and learn whats new, its incredible that Citrix raises the bar and comes with huge improvements and they this each 3 months 🙂 yes each 3months, you read it correct. If you dont have a plan for this in your company I highly recommend you build a strategy on how you upgrade you Citrix environment frequently to get these awesome new features. My first impressions of this release is, this is the release you should update to if you are running Citrix XenDesktop 7.x, the speed improvements in the GUI is incredible, its snappy realiable and makes you work without waiting it for loading when you click around the catalogs and the delivery groups. 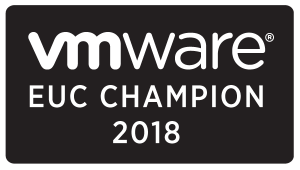 The 7.7 release is an important release from Citrix where Citrix is now fully supporting Microsoft Azure, so you can provisioning VDI or XenApp machines on Microsoft Azure with MCS technology. 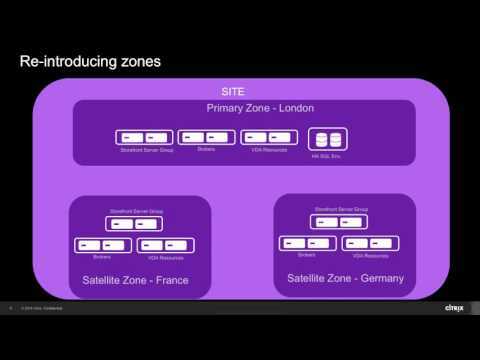 Another long waited feature is “Zones” this feature will be loved by customers that have branch offices where there is a requirement to install local Citrix infrastructure components such as Studio, Director, Site database, Zones was very common used in IMA architecture and now its finally implemented in FMA, great job Citrix. These are just some of the all the new huge improvements and this is the best release of XenApp/XenDesktop. Other new product release that is included in the XenDesktop/XenApp 7.7 media is HDX RealTime Optimization Pack 2.0, License Server 11.13.1, Profile Management 5.4, Citrix Provisioning 7.7, Citrix Receiver 4.4 is not in the iso, but you have to download this seperated, which i highly recommends. What a great year to finish with and happy updating and I wish you all a Happy New Year. Citrix XenDesktop 7.7 & Citrix XenDesktop 7.7 contains following software updates and new features and enhancements, this blog post covers all whats new in the architecture and components. Citrix Provisioning 7.7 is covered in a seperated article here. This product release includes the following new and enhanced features. Deployments that span widely-dispersed locations connected by a WAN can face challenges due to network latency and reliability. Configuring zones can help users in remote regions connect to local resources without forcing connections to traverse large segments of the WAN. Using zones allows effective Site management from a single Citrix Studio console, Citrix Director, and the Site database. This saves the costs of deploying, staffing, licensing, and maintaining additional Sites containing separate databases in remote locations. Zones can be helpful in deployments of all sizes. You can use zones to keep applications and desktops closer to end users, which improves performance. For more information, see the Zones article. When you configure the databases during Site creation, you can now specify separate locations for the Site, Logging, and Monitoring databases. Later, you can specify different locations for all three databases. In previous releases, all three databases were created at the same address, and you could not specify a different address for the Site database later. You can now add more Delivery Controllers when you create a Site, as well as later. In previous releases, you could add more Controllers only after you created the Site. For more information, see the Databases and Controllers articles. Configure application limits to help manage application use. For example, you can use application limits to manage the number of users accessing an application simultaneously. Similarly, application limits can be used to manage the number of simultaneous instances of resource-intensive applications, this can help maintain server performance and prevent deterioration in service. For more information, see the Manage applications article. If you indicate that the first message should be sent to each affected machine 15 minutes before the update or restart begins, you can also specify that the message be repeated every five minutes until the update/restart begins. For more information, see the Manage Machine Catalogs and Manage machines in Delivery Groups articles. By default, sessions roam between client devices with the user. When the user launches a session and then moves to another device, the same session is used and applications are available on both devices. The applications follow, regardless of the device or whether current sessions exist. Similarly, printers and other resources assigned to the application follow. You can now use the PowerShell SDK to tailor session roaming. This was an experimental feature in the previous release. For more information, see the Sessions article. When using the PowerShell SDK to create or update a Machine Catalog, you can now select a template from other hypervisor connections. This is in addition to the currently-available choices of VM images and snapshots. See the System requirements article for full support information. Information about support for third-party product versions is updated periodically. By default, SQL Server 2012 Express SP2 is installed when you install the Delivery Controller. SP1 is no longer installed. The component installers now automatically deploy 32-bit and 64-bit Microsoft Visual C++ 2012 runtimes, as well as 2008 and 2010 runtimes. Visual C++ 2005 is no longer deployed. You can install Studio or VDAs for Windows Desktop OS on machines running Windows 10. You can create connections to Microsoft Azure virtualization resources. The product ISO no longer includes versions of the Citrix Receiver for Mac and the Citrix Receiver for Linux. You (or your users) can download and install the Citrix Receivers from the Citrix website. Alternatively, you can make those Citrix Receivers available from your StoreFront server (see the Make Citrix Receiver installation files available on the server section in the StoreFront 3.0.x documentation, or the equivalent documentation for the StoreFront version you are using). You can now configure proactive alerting and notifications when thresholds are reached. This enables quicker responses even when you are not viewing the monitoring console. For more information, see Alerts and notifications. Deployments that use Microsoft System Center 2012 – Operations Manager to monitor deployments can now view alerts provided by the Operations Manager on the Dashboard and in other high level views in Citrix Director. For example, if connections to supported hypervisors fail, the administrator can check Citrix Director for Operations Manager alerts. After reviewing alert details in Citrix Director, the administrator can then switch to the Operations Manager console for additional troubleshooting, if needed. For more information, see SCOM alerts. Citrix Director now supports Integrated Windows Authentication. For single sign-on, a user’s Windows credentials are automatically used to access Citrix Director. This support allows users to log on to their machines using any credential provider and supporting hardware, and use that logged-on identity to access Citrix Director. For more information, see Use Citrix Director with Integrated Windows Authentication. The Trends view now shows the usage of Desktop OS by Site and by Delivery group, and it shows the usage of Server OS by site, by Delivery group, and by Machine. This gives you a real-time view of your OS usage, enabling you to quickly assess your site’s capacity needs. For more information, see Monitor historical trends across a Site. Application limits configured in Studio are shown in existing views and counts in Citrix Director. For example, the User Connection Failures on the Dashboard will indicate when a connection attempt fails because it would exceed an application limit. For more information, see Application limits. Citrix Licensing Manager – Enables downloading and allocation of license files from the License Server on which the Citrix Licensing Manager is installed. You can specify a date range for the historical usage and export it to a CSV file. The CSV file provides daily usage information including the number of licenses in overdraft. License Server VPX does not support the Citrix Licensing Manager. 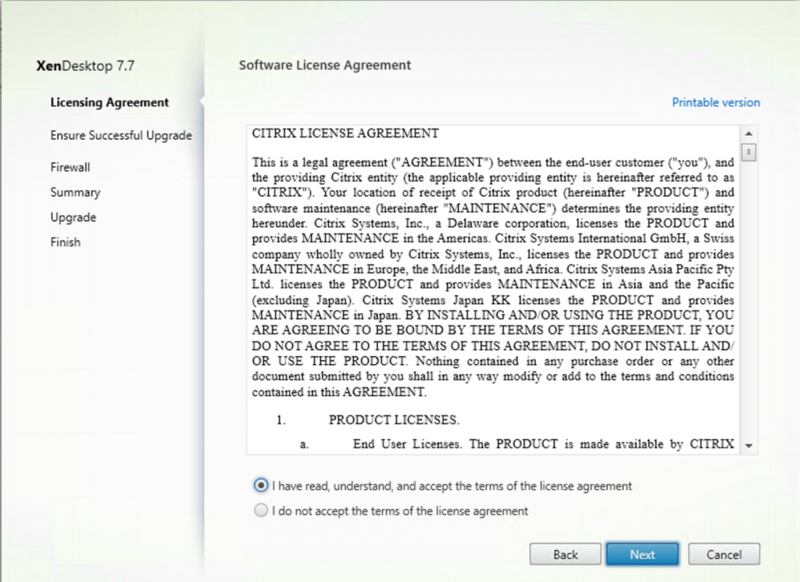 Simple License Service is replaced – The Citrix Licensing Manager replaces the Simple License Service web UI. Partial allocation of licenses – When using the Citrix Licensing Manager to download your licenses, you can specify how many licenses to download for a product. Previously, the Simple License Service allowed only a complete download of licenses for a product. Citrix Licensing Customer Experience Improvement Program (CEIP) and Call Home support for License Server VPX – Voluntary data collection programs in which Citrix products gather anonymous or identified configuration, performance, error, and usage data from your deployment and automatically send the data to Citrix. For more information, see “Citrix Licensing Customer Experience Improvement Program (CEIP) and Call Home” in Technical overview. When upgrading Profile management, the installer removes the old version along with the WMI Provider, and then installs the new version. If you perform the upgrade after separating the two components, the WMI Provider is not upgraded. In this case, install it separately to ensure the two components remain compatible with each other and your VDAs. You must provide the standalone WMI MSI file or installer for Versions 7.5 and 7.6 of the VDA so that the correct version of the WMI Provider installs after upgrading Profile management. If you upgrade to Profile management 5.4 on a VDA earlier than version 7.7, use profilemgt_x64/x86.msi to do so. If you upgrade on a Version 7.7 VDA, Profile management 5.4 and WMI Provider 5.4 are automatically installed (by profilemgt_x64/x86.msi and UpmVDAPlugin_x64/x86.msi).